More than 4,000 people in Arkansas lost Medicaid benefits for not complying with the state's new work requirements, according to a report by the state Department of Human Services. The department said it dropped the health insurance of 4,109 Medicaid recipients in the second wave of terminations since the program launched in June, according to the report. In September, 4,353 people were dropped from Medicaid due to failing to adhere to work requirement rules, with the latest terminations bringing the total to about 8,500 people. The work requirements were approved by the Trump administration in March and require Medicaid recipients between the ages of 30 and 49 to work, volunteer or attend school or job training for at least 80 hours each month. Those who are chronically ill, enrolled in a drug or alcohol treatment program, or are caring for a child or incapacitated person are exempt from the requirement. As of Aug. 10, about 76,200 people were subject to the work requirement in September, the Arkansas Department of Human Services said. Beneficiaries are dropped from Medicaid after three months of non-compliance and the requirement is being phased in on a rolling basis, indicating coverage losses for November and December could be comparable to September and October, the Arkansas Times reported. The department said 16,757 people failed to meet the work requirement for the month of September, including 222 who reported insufficient work activities. Arkansas Gov. 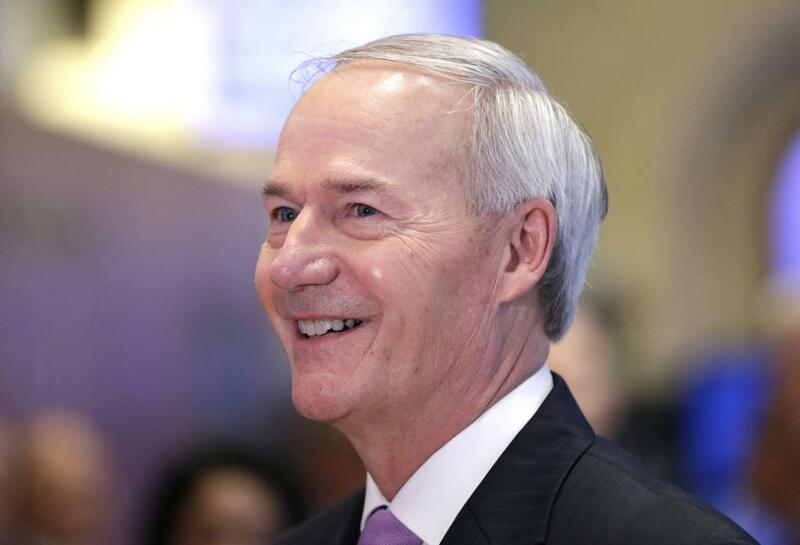 Asa Hutchinson said the 4,109 individuals who didn't report activities for the past three months "either found work, moved onto other insurance, moved out of state without notifying DHS, or chose not to comply" in an emailed statement to the Arkansas Times. "We have gone to great lengths to ensure that those who qualify for the program keep their coverage. Arkansas Works provides opportunities for individuals to gain employment or work training. It also allows us to concentrate resources on those who need it most rather than continuing to pay insurance premiums on those who no longer qualify," he said. Democratic gubernatorial candidate Jared Henderson issued a statement saying the requirement that activities be reported online was harmful to some beneficiaries. "This negligent Internet reporting policy jeopardizes our rural hospitals and their staff as thousands will be receiving uncompensated care after losing their health insurance," Henderson said. "Arkansans know that access to quality health care allows them to show up for work and provide for their families, and this internet requirement is a bureaucratic barrier to that success."